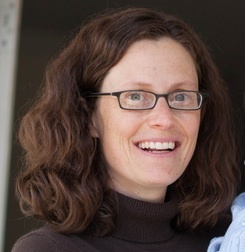 Annalee Good is an evaluator and researcher at the Wisconsin Center for Education Research, co-director of the Wisconsin Evaluation Collaborative, and Director of the WCER Evaluation Clinic. She is co-PI on an ongoing study of digital tools in K-12 education, and supports many youth-serving organizations through culturally responsive evaluation in topics such as tutoring, personalized learning, community schools, and ensuring equitable access and outcomes in advanced learning opportunities. She has published and presented numerous papers on topics including public contracting for digital instructional tools, the nature of the instructional landscape in out-of-school time tutoring, the role of tutoring in school reform, and the role of K-12 teachers in the creation of public policy. Annalee also is the co-lead of the Wisconsin chapter of Scholars Strategy Network. She was an 8th grade social studies teacher before earning her master’s and doctoral degrees in Educational Policy Studies from UW-Madison. Good, A. (2018). Teachers at the Table: Voice, Agency, and Advocacy in Educational Policymaking. Lanham, MD: Lexington Books, Rowman and Littlefield. Available here. Heinrich, C. & A. Good. (2018). Research-Informed Practice Improvements: Exploring Linkages between School District Use of Research Evidence and Educational Outcomes over Time. School Effectiveness and School Improvement. Good, A., Barocas, S.F., Chavez-Moreno, L., Feldman, R., & C. Canela. (2017). A Seat at the Table: How the Work of Teaching Impacts Teachers as Policy Agents. Peabody Journal of Education. Burch, P., Good, A., & C. Heinrich. (2016). Improving Access to, Quality, and the Effectiveness of Digital Tutoring in K12 Education. Educational Evaluation and Policy Analysis. Stewart, M. & A. Good. (2016). Marketing, Information, and Parental Choice: A Comparative Case Study of Third-party, Federally Funded Out-of-school-time Services. Peabody Journal of Education. Burch, P. & A. Good. (February 2015). The Conversation Before the Contract: A Framework for Dialogue Between School Districts and Digital Education Providers. Phi Delta Kappan. Burch, P. & A. Good. (2014). Equal Scrutiny: Privatization and Accountability in Digital Education. Cambridge: Harvard Education Press. Available here. Heinrich, C., Burch, P., Good, A., Acosta, R., Cheng, E., Dillender, M., Kirshbaum, C., Nisar, H. & M. Stewart. (2014). Improving the Implementation and Effectiveness of Out-of-School-Time Tutoring: A Longitudinal Multisite, Mixed-Method Investigation. Journal of Policy Analysis and Management. Good, A., Burch, P., Stewart, M., Acosta, R., & C. Heinrich. (2014). Instruction Matters: Lessons From a Mixed-Method Evaluation of Out-of-School Time Tutoring Under No Child Left Behind. Teachers College Record. Good, A. (2009). Framing American Indians as the “First Americans”: Using Critical Multiculturalism to Trouble the Normative American Story. Social Studies Research and Practice.